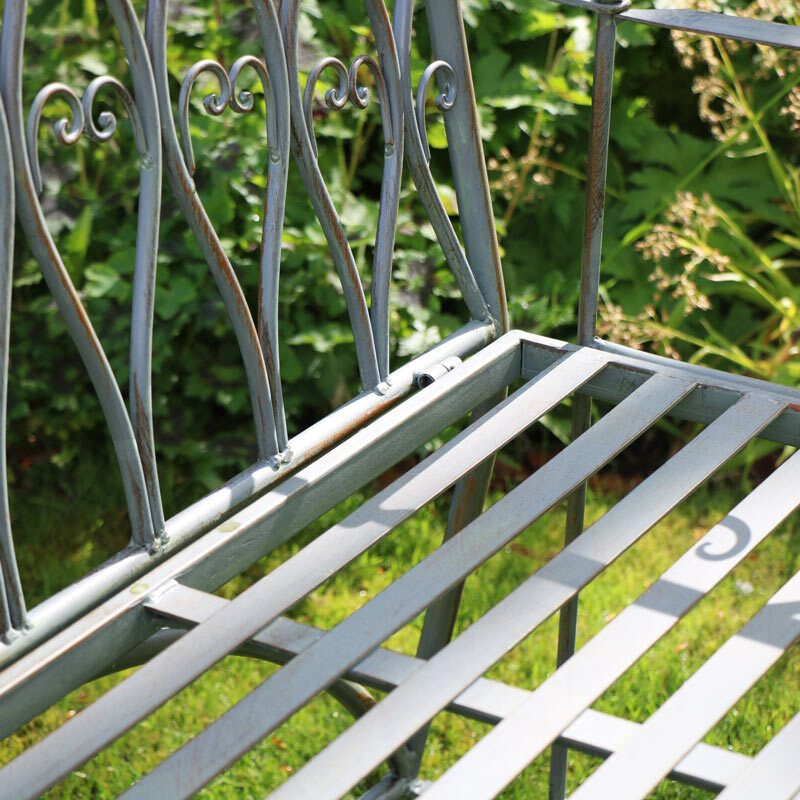 This 3 seater bench, made from metal in pale green, is perfect for relaxing outsoors in your garden. Make sure you enjoy your garden and create to perfect place for you to relax in. 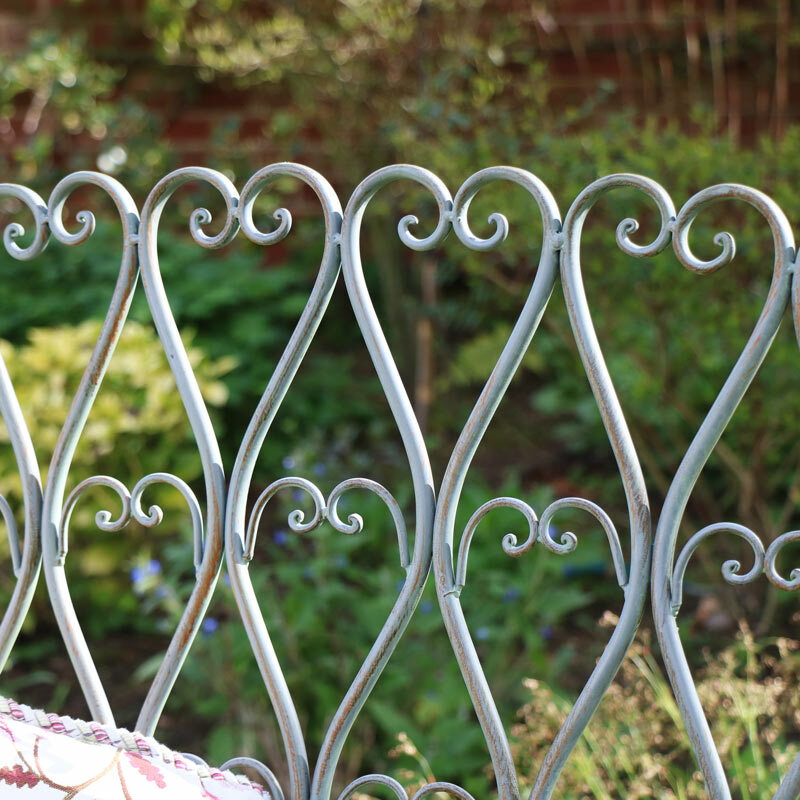 With ornate swirl detailing decorating the back of the bench which helps to add a vintage look and make your garden look beautiful. The green colour will blend in your garden beautifully. 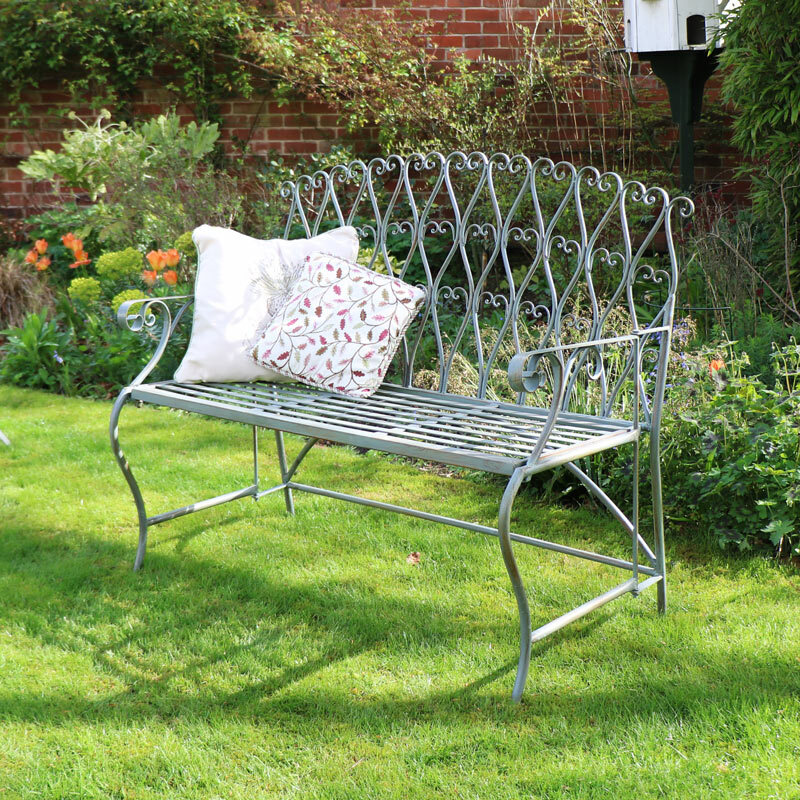 Relax and enjoy the summer sun from the comfort of your garden with this stunning bench. 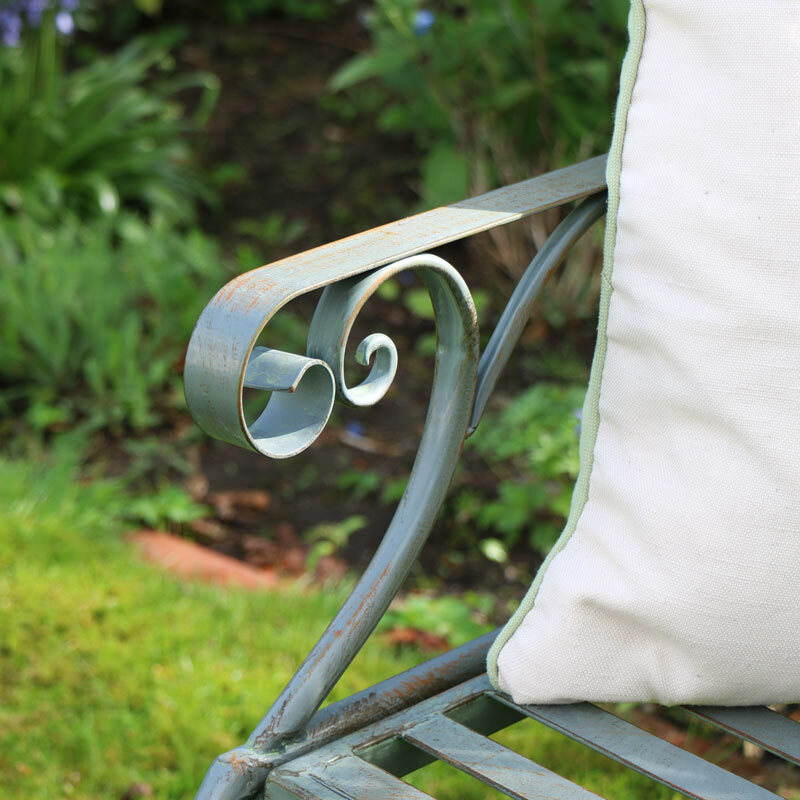 Made from metal and painted in a lovely pale green colour with a slightly weathered look that adds to the charm of this bench. The only assembly required is just to unfold the legs and slot the seat into place.